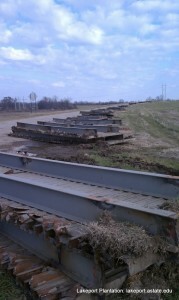 The old Highway 82 bridge (Benjamin G. Humphreys Bridge) is no longer in one piece. 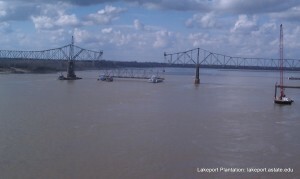 Last week the eastern part of the bridge was taken out through a small explosion (I almost fell out of my chair at Lakeport). 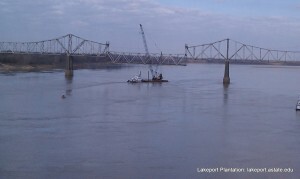 This morning the center part of the bridge is being lowered on to a barge(s). The new Hwy 82 Bridge opened last Wednesday, August 4 around 5:30 pm. Greenville’s WXVT has the video. Lakeport was featured in Kat Robinson’s blog, Tie Dye Travels, and will be on Little Rock’s KARK at noon today. 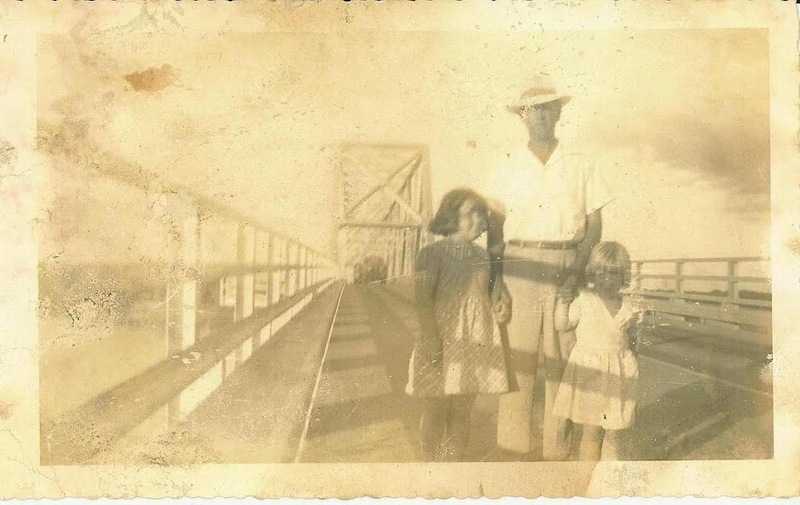 When the video shows up on their website, I’ll add a link (Update: video link added 8/13/10) Kat has blogged about good eats in south Arkansas, visited the site of the Japanese interment camp at Rohwer, and reviewed the Cow Pen (our neighbor) for the Arkansas Times. Also, Lakeport will be open Saturdays in August and the first Saturday in September (4th) from 10 am to 2 pm (last tour at 2). 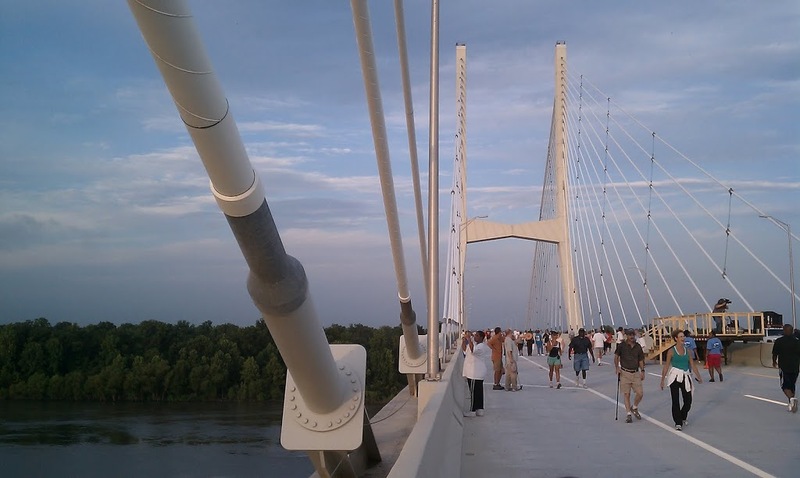 According to a news source (WXVT-Greenville), the bridge opening has been delayed and will likely open next week–August 1-7. 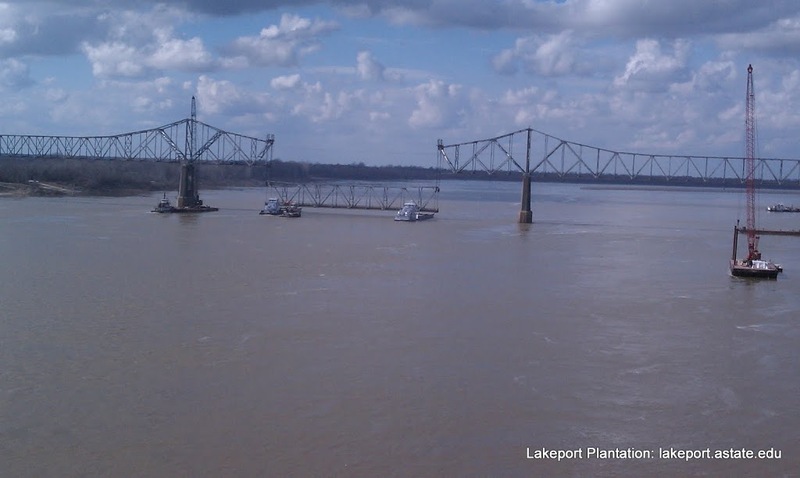 Two days after a ribbon cutting, transportation officials say the opening of the new Mississippi River Bridge, connecting Greenville, Miss., to Lake Village, Ark., may be delayed. 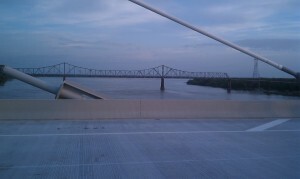 The Mississippi Department of Transportation had said the bridge would open on Wednesday, July 28. 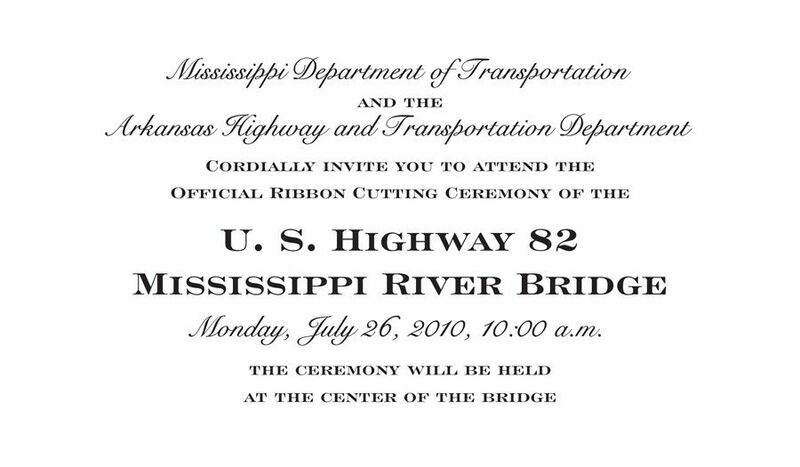 However, as the Monday dedication grew closer, officials said the opening would be at a later, unspecified date. 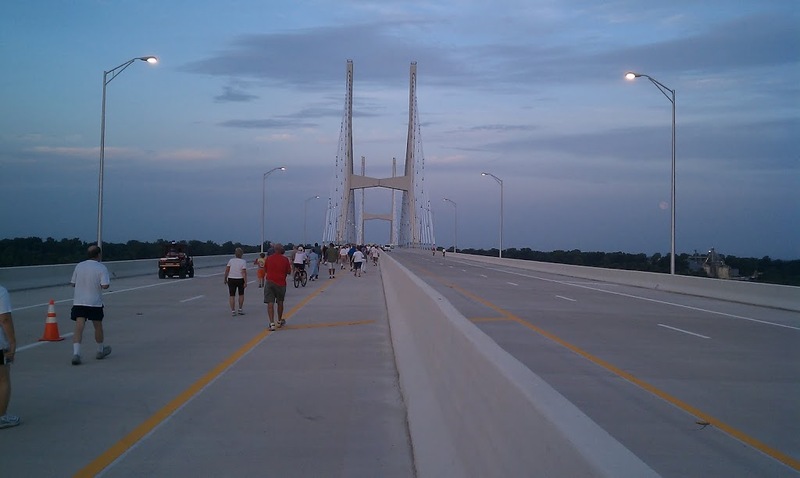 During the dedication, they hoped to have it ready by the end of the week. 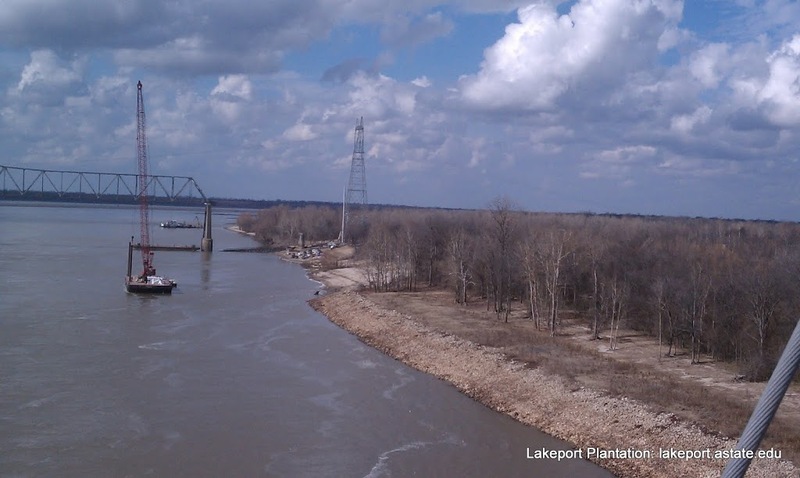 On Wednesday, MDOT project engineer Steele Davis said inclement weather has delayed completion of the final stages of construction. 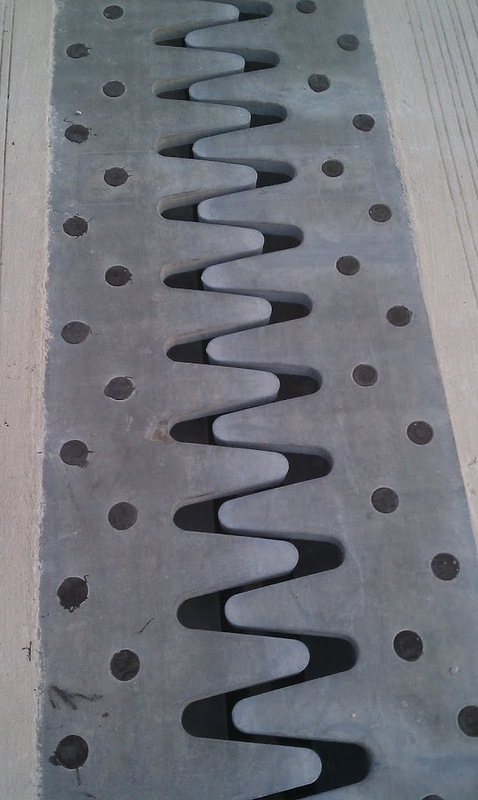 That work includes paving the road connecting the new bridge to U.S. Highway 82. Davis says the opening may be during the week of Aug. 1-7. 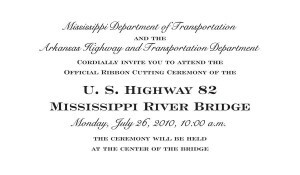 A ribbon cutting for the new Hwy 82 Mississippi River Bridge will take place this coming Monday, July 26th at 10am on the center of the bridge. Everyone and anyone is invited to attend! (Don’t worry about parking, there will be hwy department folks there to guide you. Some of the parking may be on the bridge, but in my opinion, you should still wear your walking shoes because it’s not certain how many people with attend the event, so some walking is inevitable.) 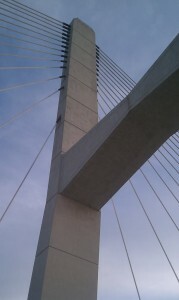 A stage will be set up at the center of the bridge where the ribbon cutting will take place. 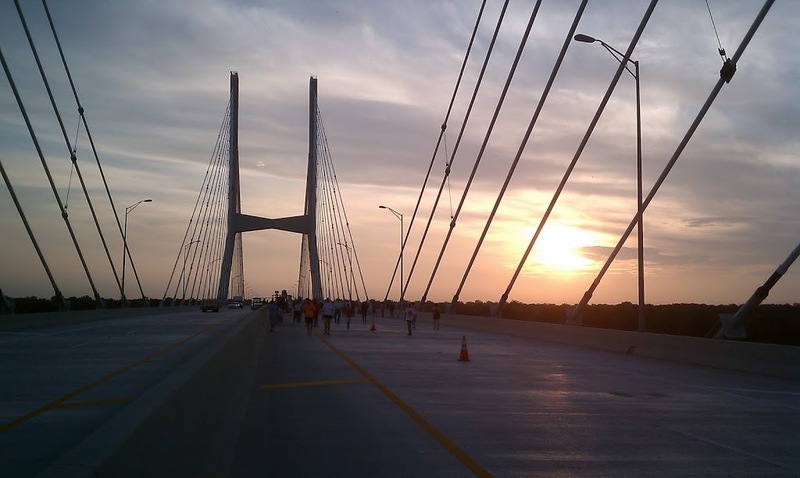 The city of Greenville, MS is hosting a 5K run/walk to commensurate the grand opening on Monday, July 26th at 6am. Come one, come all, it’s FREE! 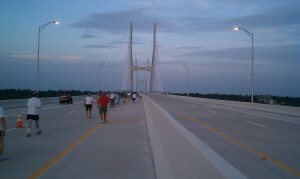 The run/walk will start on the Greenville side of the bridge. 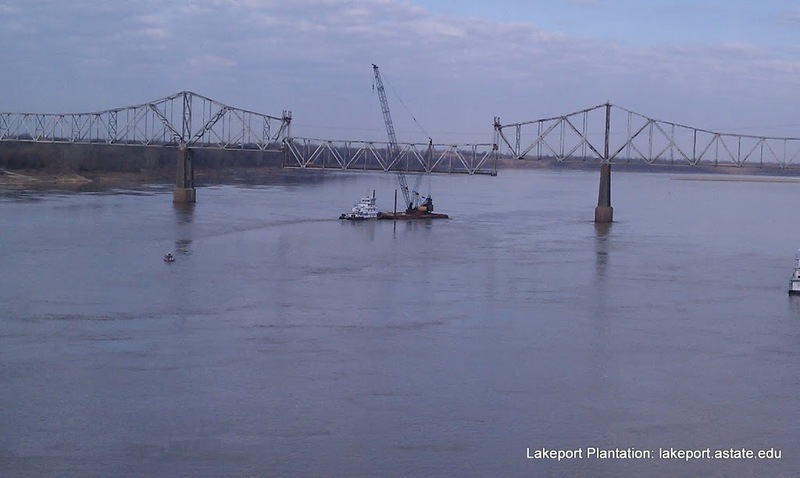 Lakeport will be closed during the Bridge Dedication Ceremony–10 am, Monday, July 26, 2010. We will reopen following the ceremony. 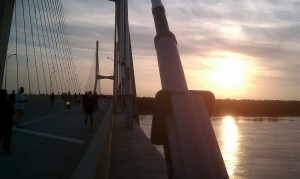 We will be open Saturdays the rest of the Summer and through the Fall. As of right now, Saturday hours are 10 am until 4 pm; but we may reevaluate those hours later. Call us or email us if you have questions: 870-265-6031. 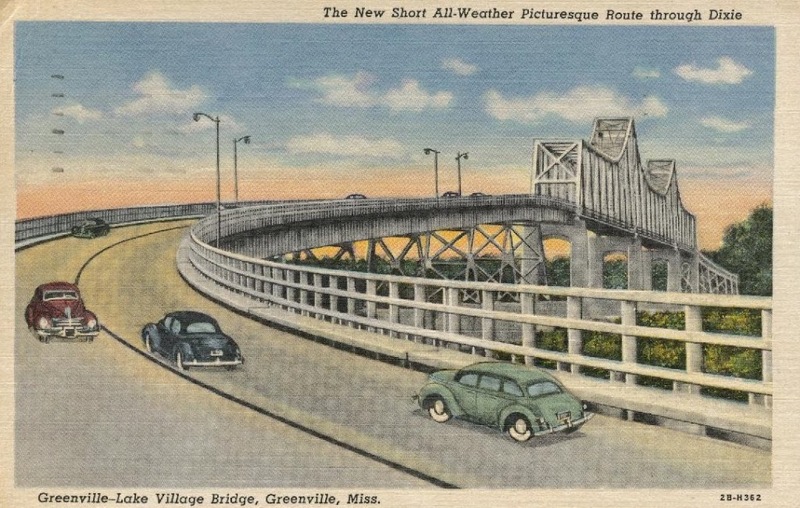 This post is a companion to today’s Southern Fried Blog, where Rex Nelson looks back at the old Greenville Bridge. 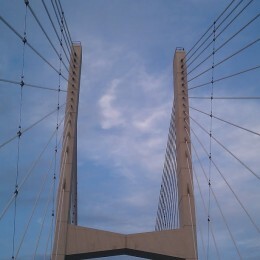 The old bridge is slated for demolition later this year, since no one has offered to relocate it. 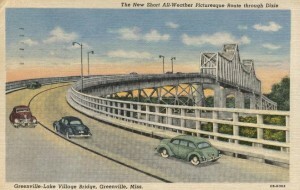 Greenville-Lake Village Bridge postcard, ca. 1955. 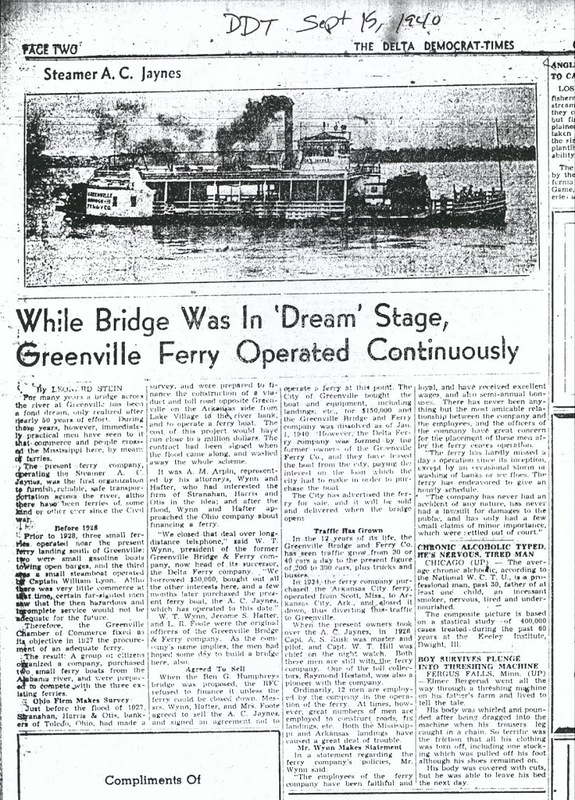 As the bridge opened in 1940, the Delta Democrat-Times (Greenville, MS) reported the ferry operation of the Greenville Bridge & Ferry Co. was transporting “200 to 300 cars, plus trucks and busses” each day. 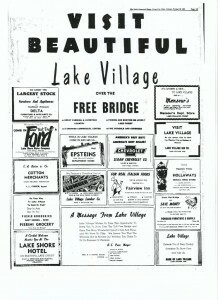 As the new Bridge opens, Lake Village would like to welcome visitors again. 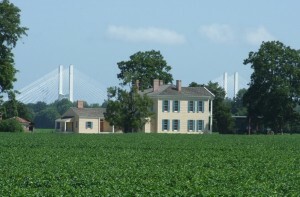 Come see Paul Michaels, the Cow Pen, Lake Chicot, Lakeshore Cafe, Rhoda, and Lakeport Plantation. The new bridge will be dedicated at 10 am on Monday, July 26 and will open to traffic on Wednesday, July 28. 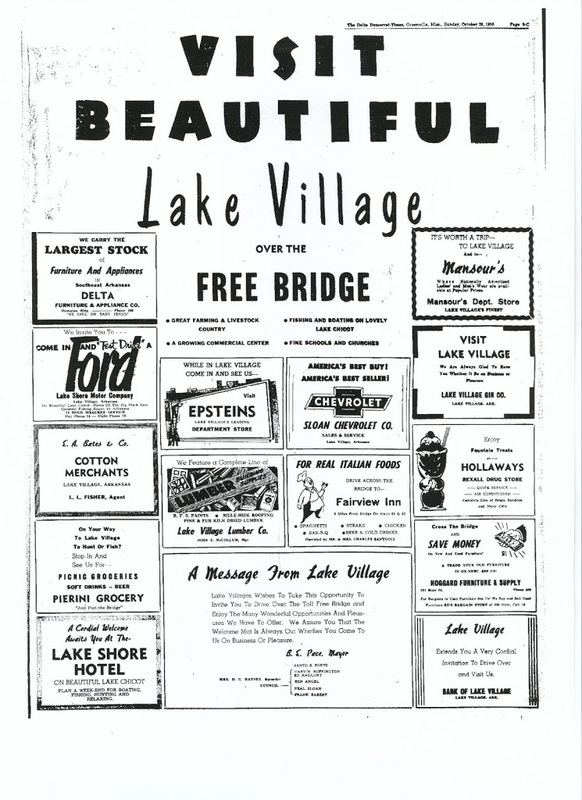 Lakeport will be open Saturday, July 31. I’ll post more about our Saturday hours tomorrow. 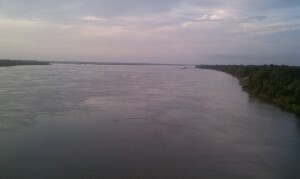 GREENVILLE, Miss. (AP) — The new U.S. Highway 82-Greenville Bridge is scheduled to open for traffic on July 28. 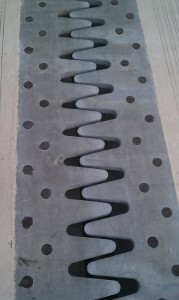 The dedication ceremony is July 26. The first contract was awarded in 2001 and construction began in 2002. 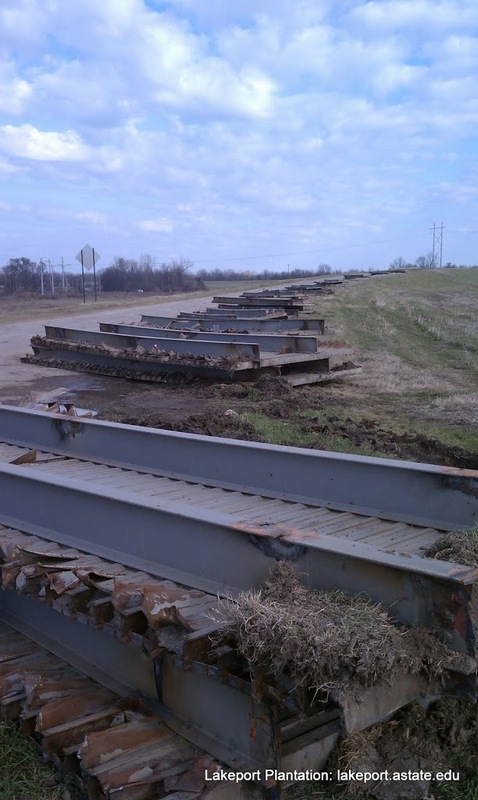 Washington County Board of Supervisors president Paul Watson says transportation officials in Mississippi and Arkansas are working on the details. 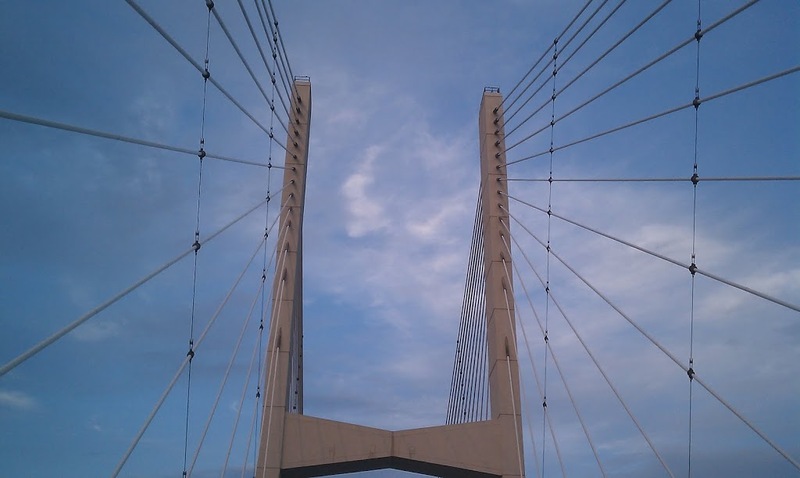 The four-lane, cable-stayed bridge has been many years in the making. 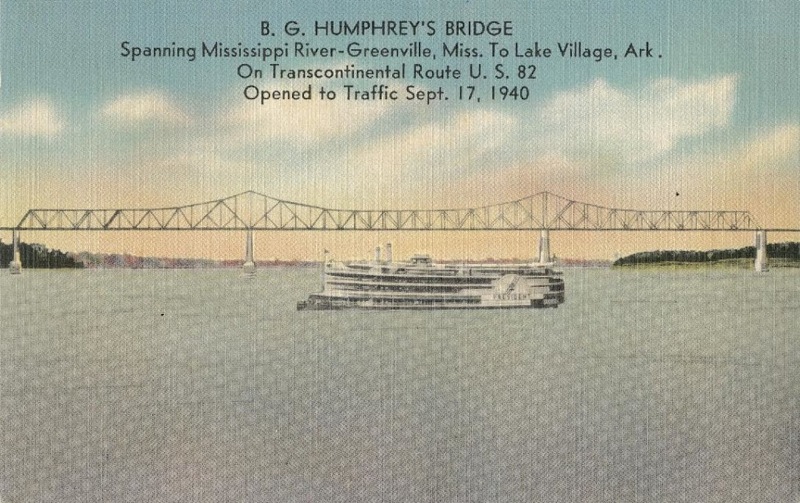 It was authorized when the existing bridge, built in 1940, was determined to be a navigational hazard and obsolete. 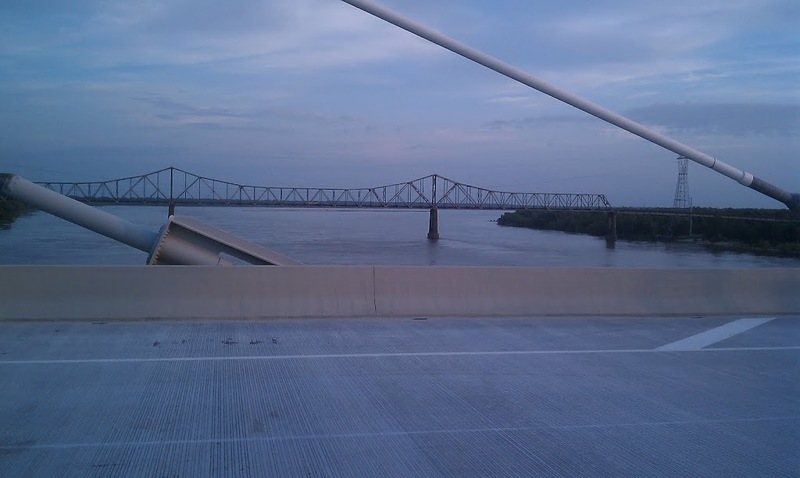 The old two-lane bridge crosses the Mississippi River just south of a sharp bend. 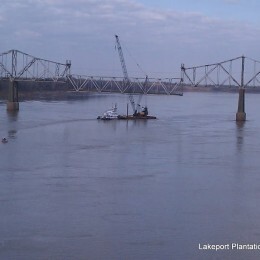 Tow boats have difficulty completing that turn and straightening up in time to clear the bridge. 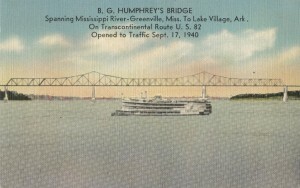 Numerous barge/bridge collisions have happened over the years. 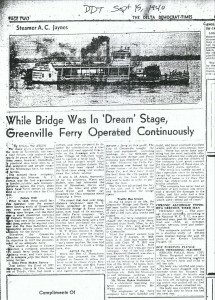 Proposals for the Old Greenville Bridge are now being accepted.